Cinco de Mayo, celebrated on the 5th of May, commemorates the triumph of a small Mexican army over French forces in an 1862 battle, "Batalla de Puebla". The Battle at Puebla took place only 14 years after the United States defeated Mexico in the Mexican-American War. With a weakened army and lagging national pride, the odds were against the Mexican people. But when French forces, backed by Emperor Napoleon III, marched on Mexico City and threatened to turn it into a French monarchy, the Mexican people quickly organized. Led by Mexico's former Secretary of War, Ignacio Zaragoza, the Mexican army first fought the French invaders at Acultzingo on April 28. They were forced to withdraw, but quickly regrouped in the strategic city of Puebla. On May 5th, despite the exhaustion of the troops and meager resources, the 33-year-old general and his army forced the invaders to retreat. In the United States, the "Batalla de Puebla" came to be known as simply "Cinco de Mayo" and unfortunately, many people wrongly equate it with Mexican Independence which was on September 16, 1810, nearly a fifty year difference. Over, the years Cinco de Mayo has become very commercialized and many people see this holiday as a time for fun and dance. Oddly enough, Cinco de Mayo has become more of Chicano holiday than a Mexican one. 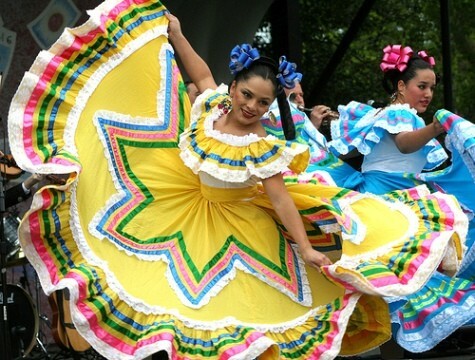 Cinco de Mayo is celebrated on a much larger scale here in the United States than it is in Mexico. 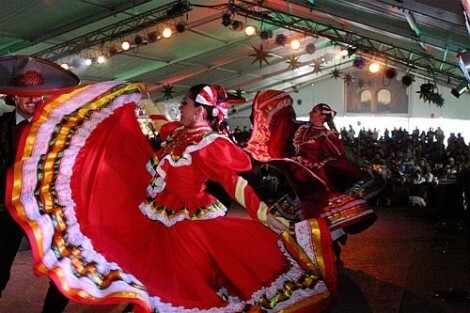 People of Mexican descent in the United States celebrate this significant day by having parades, mariachi music, folklorico dancing and other types of festive activities.